I’m getting ready for an event next Friday and my CP soaps are all curing nicely and almost ready to go….so, I decided to pull out my trusty soap base to make some fun little Easter Egg soaps to go with my CP soaps! I used mica in clear soap for the eggs, scented the soap with a fruity Pomegranate fragrance and topped it with some sparkly glitter. They’re simple, but I love the way they turned out! They are M&P? Very nice! Hi Jen, yes, these ones are MP! Wow, we love them too, Cee, they are so colored and cute! Good luck with your event! Thanks Nat and Marika, I really appreciate it!!! Those are adorable! I'm sure they'll be a big hit at your event! Am I missing something here,Cee? Are you hosting some event next Friday? Anyway, the soaps are so cute, everyone will love them,for sure! I'm not hosting, but I'm participating :) Thanks Maja! Sooo cute! Love the colors....they will make wonderful Easter basket gifts! Those are way too cute! I love all the sparkle! Thanks Milla, I have a small problem with glitter...ha ha! 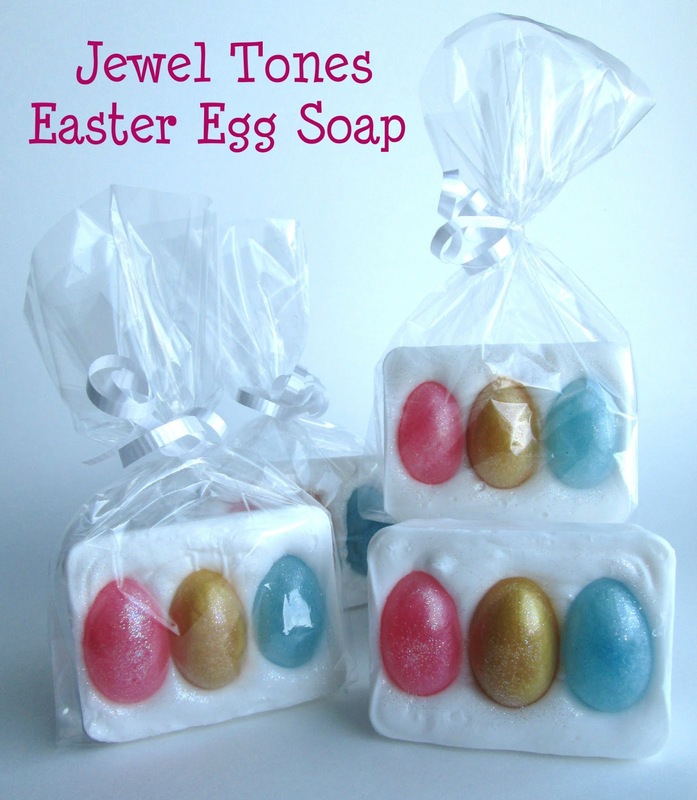 The Easter egg soaps are so adorable, Cee Gee! I love the sparkly mica and glitter. The packaging is cute, too. Best of luck at your event Friday! Beautiful soaps, as always! Hardly wait to hear about event outcome!